Last August, a Minnesota jury awarded Heidi Weber, a former dean at for-profit Globe University, $395,000 in damages against the school. Weber alleged that she was fired for complaining that Globe used false job placement statistics and engaged in other misconduct to recruit students. On Tuesday, the trial judge in the case rejected Globe's motion for a new trial and for a reduction in the damage award -- giving Weber an important victory in her legal battle. The court also awarded just over $500,000 in attorney fees, which are provided for under the whistleblower law. Weber's suit claimed that Globe had violated a state whistleblower law when it fired her from her job as dean of the school's medical assistant program. The Washington County, MN, jury concluded that Weber was indeed fired in 2011 for raising with management that Globe was providing false information to students about placement rates, starting salaries, and the school's accreditation; failing to provide adequate training for students; and improperly paying commissions to school recruiters. The jury awarded Weber $205,000 for lost wages and $190,000 for emotional distress. 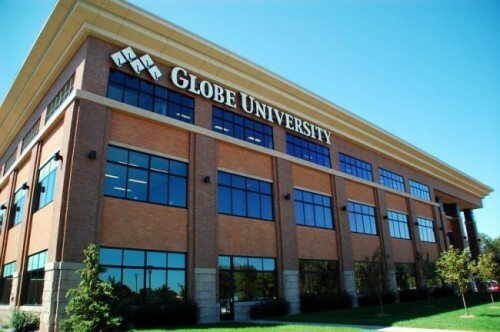 Globe runs 11 campuses in Minnesota, Wisconsin, and South Dakota and has more than 10,000 students. From 2011 to 2012, the company obtained more than $170 million from federal student aid. More than half of Globe's students drop out without graduating; on some campuses, three-quarters drop out. A 2012 investigation of Globe by Minnesota Public Radio (MPR) tracked down former Globe staffers who described "bad recruitment behavior - such as ... harassing phone calls, emotional manipulation and misleading language." One of them, Jason Jensen, said of the prospective students, "I fed off of their own shame, their own disgust they had with their own lives." Jensen said he and other recruiters knew that many of the recruits would never graduate but that supervisors ignored their concerns about admitting such students. He said the recruiters were under heavy pressure from supervisors to sign up students, and that as a result he would call the same student multiple times in a single day: "We'd just slam them with phone calls, with e-mails. I had to hit a certain quota of students every quarter to keep my job. "Jensen said he was fired for failing to meet recruiting goals. Another Globe recruiter said, "We were really focusing on recruiting the bottom-of-the-barrel-type students, the ones that rarely had the means. Essentially, if you have a heartbeat and you can sign your name, you qualify for Stafford loans." Another former Globe recruiter, Hannah Von Bank, told MPR, "You're supposed to find the pain that's driving them to go back to school, and use that to get them to enroll." Globe executives, when confronted by MPR with a training document that actually including the phrase "Find Their Pain," told the reporter that managers instructed employees to stop using terminology about "pain" around 2010; this was about the time that government was increasing its focus on misconduct in the sector. But another recruiter told MPR that this was about public relations, not a real change in procedures: "You know, in trainings they would say, 'We're not going to call them "leads" anymore. We're going to call them 'inquiries.' Because if anyone caught wind of this, then, you know, it might look like we're in sales. And we don't want them to know we're sales.'" Globe University graduates leave with an average of $44,824 in student loan debt, and they are almost five times as likely to default on their loans as graduates of the University of Minnesota. The Minneapolis attorneys who represent Weber have also filed a class action lawsuit on behalf of Globe students, claiming that the company "systematically and deliberately" misleads prospective students. "We simply do not understand why the federal government would, especially at this time in our country's history, seek to implement a rule that would impact job placement in fast-growing occupations. In short, the department could not have contrived a more anti-student and thereby anti-employer and anti-taxpayer proposed rule."